Best Home Remedies For Angina – Everything About The Most Common Heart Disorder! These home remedies for Angina work the best for self-treatment because you definitely need to take a proper care of yourself after you have been diagnosed with a problem that is related to the most crucial organ, your heart! Angina can be recognized by the symptoms like pain in the chest, a feeling of tightness in chest and difficulty in breathing. The symptoms occur because of the blockage in the arteries (especially coronary arteries) or due to the damaged arteries that have to supply the blood from different organs of the body to your heart. So, Angina is basically a heart disorder that occurs due to the lack of proper blood and oxygen supply to your heart. However, there are other potential causes of Angina which you will discover in the article. Ensure that you consult your doctor and discuss the exact problem to clear the things. Consulting doctor is very much essential because the symptoms can be an indication of an underlying serious heart disease. Your doctor may insert a stent (a small tube which can be made of plastic or metal) to clear the blockage of the arteries and to ensure that there is a proper supply of blood and oxygen to your heart. If you are looking for a speedy recovery, it is essential that you follow some useful home remedies for angina! Here’s an easy way to understand the types of angina according to its severity including when and where you may experience them! Stable angina can also occur due to mental stress and is not really a big deal because you will feel relieved after taking rest. However, if you experience stable angina more often. there is an immediate need for you to consult your doctor. If you experience a discomfort in your chest, a feeling of tightness or spasm in your chest even while resting, the type of problem is described as unstable angina. This can occur due to the accumulation of fats in your heart. Unstable angina cannot be cured by relaxation or by taking external medication for a temporary relief. If someone experiences a sudden spasm in the heart which is very painful during the midnight or anytime during the day, it could be due to a blockage in the arteries and this can also be an indication of a serious underlying heart disease. The problem may also occur due to the lack of proper oxygen supply to your heart which needs a proper diagnosis and medication prescribed by your doctor. Angina pain symptoms can be similar to that of a heart attack and other heart diseases. Here is an easy way to differentiate angina from the heart attack so that the treatment becomes much easy. Pain that continues in the regions of your neck, jaws, arms or on the back that can felt along with the pain in the chest. The signs of angina in women can vary from the general symptoms. These angina symptoms in women apart from chest pain will help in an easy identification of angina in women. A feeling of pain that is similar to a stabbing. Most of the people confuse angina with a heart attack because of the similar symptoms such as discomfort in the heart and a stabbing chest pain. But, if you happen to experience a chest pain for more than 3 minutes, or if the pain does not subside even after going for medication, chances are it could be a heart attack. If you have never experienced a chest pain in the past, it is a must that you start considering your situation serious and critical. 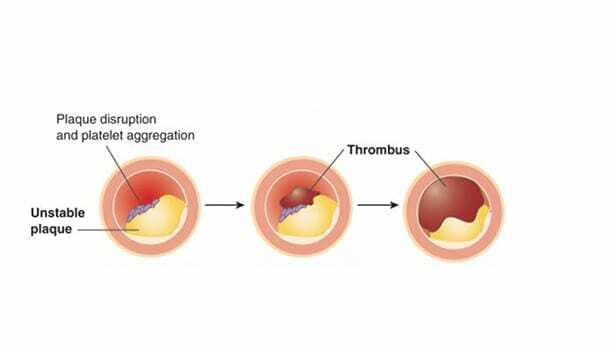 The most common cause of Angina is a blocked coronary artery. The blockage occurs due to the accumulation of cholesterol in your arteries which play an important role in supplying blood and oxygen to your heart. The blockage essentially makes the vessels narrow which in turn reduces the blood supply to other organs. An irregular heartbeat that may occur due to hormonal fluctuations, or overdose of medications. 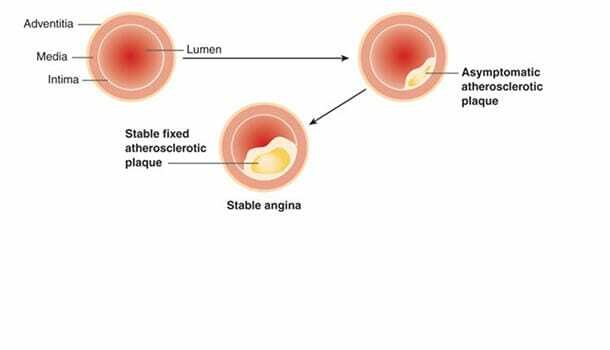 A condition called aortic stenosis in which the aortic valve becomes narrow and does not help in a proper supply of blood from the heart to other parts of the body. This can occur due to the weakened aortic valve in old people. A condition called cardiomyopathy may cause damage to the heart muscle which does not let the heart to pump the blood throughout the body. If a person experiences poisoning due to carbon monoxide or any other toxic metals, it may stop the flow of oxygen to the heart and other parts of the body. A lack of red blood cells (anaemia) can also cause angina because red blood cells are essential for a proper supply of oxygen to your heart. People suffering from emphysema may experience angina attack symptoms because of the damage of alveoli, which are the sac-like structures responsible for supplying oxygen from the air into the blood. You can recognize your exact problem from the above-mentioned causes of angina to know your condition and prepare yourself to follow some best home remedies for angina for a much faster recovery. Home Remedies For Angina – How To Get Rid Of Angina Using The Best Remedies! Once you consult your doctor and get to know the severity of the case, Angina treatment can get much better and quicker with a best-prepared list of these home remedies for Angina. The basic cause of your problem is the formation of excess plaque in your arteries. So you do not need more cholesterol in your body to worsen your condition. Our body generates 3/4th of the total cholesterol present in the body. The remaining 1/4th is actually absorbed from the food that we eat. So, being careful about food consumption and avoiding meat products is one of the basic home remedies for angina treatment. There are basically two types of cholesterol (HDL) which is good cholesterol and (LDL) which is bad cholesterol. 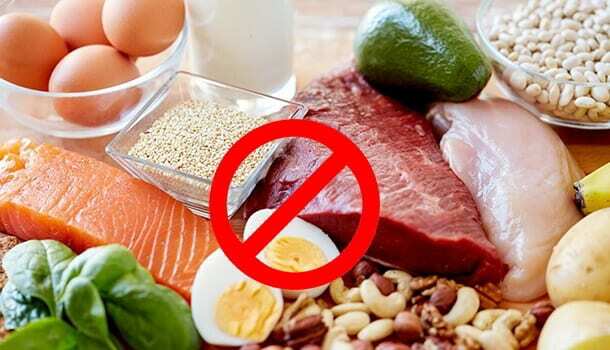 Here are the foods to be avoided to prevent the accumulation of LDL in your body. Foods High In Saturated Fat – Creams, cheese, butter, lamb, beef, poultry, pork, bakery products and deep-fried foods. Foods High In Trans-Fat – Frostings, fast foods, cookies, pizzas or microwave food. 2. Know Why Choosing Leafy Greens Is The Best Angina Remedies! Leafy greens particularly help in the healthy functioning of arteries. 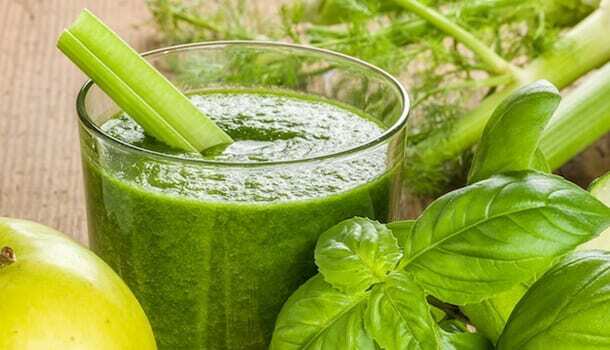 Moreover, leafy greens help your body to lower the cholesterol levels because they help the excess cholesterol to bind with the bile juice, thereby helping in the excretion of cholesterol from your body. Try including more of Spinach and kale because these contain components like lutein and carotenoids which play an important role in the functioning of a healthy heart. Your doctor may suggest you consume those foods that are rich in omega-3 fatty acids because they particularly contain unsaturated fatty acids which can reduce the amount of cholesterol in your body which in turn reduces the signs of angina. Also, omega-3 fatty acids can reduce the damage of vessels which may otherwise result in various heart disorders or strokes. Consuming omega-3 fatty acids also helps in reducing the amounts of triglycerides (fats) and also results in the regulation of an appropriate heartbeat. Best home remedies for angina can be implemented when you are selective about the foods that you consume on a regular basis. You can consider a certain chosen variety of fish such as Tuna, salmon, herrings, mackerels or trout as these varieties contain more amounts of omega-3 fatty acids when compared to other kinds of seafood. Consuming more fruits helps in providing your body with required nutrients which can reduce the number of fats (triglycerides), control your blood pressure and reducing the amount of cholesterol in your body. 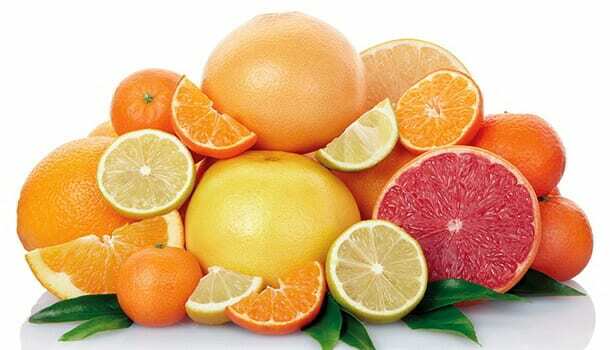 Consume fruits like lemons, oranges, grapes, strawberries, kiwis, blackberries, blueberries as they contain vitamin C in abundant amounts. Apples – The best fruit that doesn’t show any side effect when consumed daily is an apple. Apples are rich in soluble fibres which have the potential to decrease the amount of cholesterol in your blood. Apples also contain polyphenols in them which can reduce the pressure of blood in your circulatory system. Apart from apples, pears and melons also contain soluble fibres which are good for heart health. You will be able to see a significant impact of eating healthy fruits on your heart after a few days of a regular consumption. 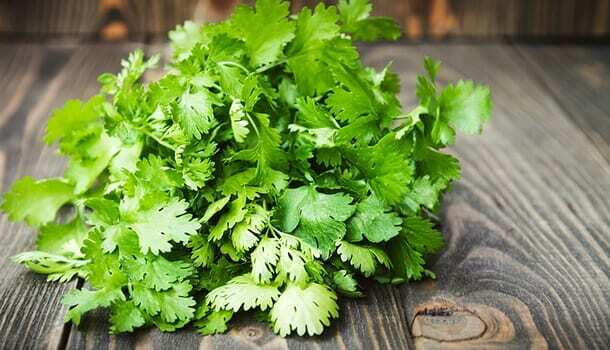 One of the best home remedies for Angina that is immensely beneficial to your overall heart health is coriander. This is because of the rich antioxidant properties of the herb which help in lowering the number of fat cells, reducing your blood pressure and protecting the arteries from damage. Adding oranges to this recipe makes it the best fluid for improving your immunity and works the best for a good heart health. Put all the ingredients into a juicer and mix them well. You can add water if you desire to make it a smooth blend. Give the recipe a final touch by garnishing the smoothie with a few basil leaves on the top. How To Get Rid Of Angina & Relieve Yourself From Angina Pain Symptoms With Lifestyle Changes? Medication and foods are of course a major aspect of angina treatment, but you would not really gain optimum benefits unless you make some serious lifestyle changes. You will be astonished to know that sometimes smoking itself can be the root cause of angina. This is because the carbon monoxide that is present in cigarette and tobacco when mixed up with the blood causes a reduction in the oxygen levels. Also, smoking causes the arteries to get narrow and become thin leading to the accumulation of cholesterol resulting in angina symptoms. Smoking not only causes angina, but it can also increase the risk of other heart diseases because the nicotine content present in cigarettes and tobaccos increases the levels of adrenaline in your body which drastically increases your heart rate and causes a surge in the blood pressure which decreases the working capacity of heart gradually. 8. How To Get Rid Of Angina Through Workout? A regular exercise can increase your lifespan and there have been many studies which proved that physical activity is directly related to an increase in the lifespan of people. People who exercise regularly not only experience a change in muscular strength but their fitness routine also has a direct impact on their heart health. You can choose any simple activity such as jogging or brisk walking for a period of 45 minutes either in the morning or evening. Choose wisely what you fill your plate with – Load it with healthy leafy greens, baked potatoes, beetroots and other complex carbohydrates. Choose low fat and high fibre foods. Manage your stress levels by indulging yourself in recreational activities. Avoid lying down immediately after your meals. Avoid smoking or alcohol at any cost to prevent angina attacks. A daily intake of Aspirin may help in reducing Angina attack symptoms but consult your doctor before going for the medication. A stable angina is not a reason to worry but if this occurs more often, you need to consult your doctor without any further negligence. You can refer to the above-mentioned types of angina (apart from stable angina) and get to know what causes angina to know the severity of your condition. Once you have consulted your doctor for the medication, you can without any doubt follow these home remedies for angina that work the best in making your treatment easy.